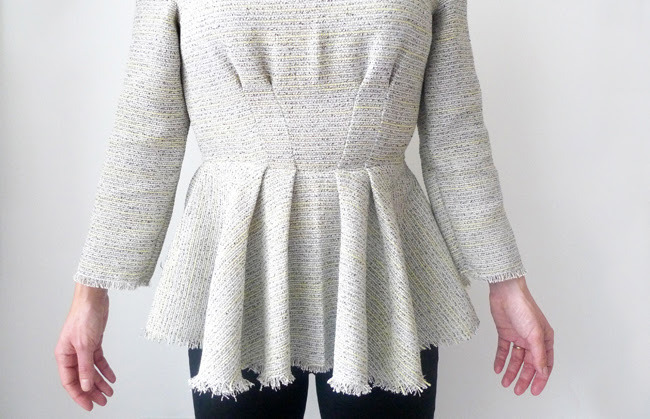 A pleated modern peplum named after the goddess of handicrafts. Athena is a contemporary feminine blouse with angled pleats on the bodice that are mirrored on the peplum and with bracelet length or short sleeves. The emphasis on Athena is front and centre on the sharp detail of the mirrored waist seam. I hope the modern sewer finds it fun and satisfying to make and wear! Pair with skinny jeans and flats, or a pencil skirt and heels. You can dress Athena up or down, depending on fabric choice and accessories. 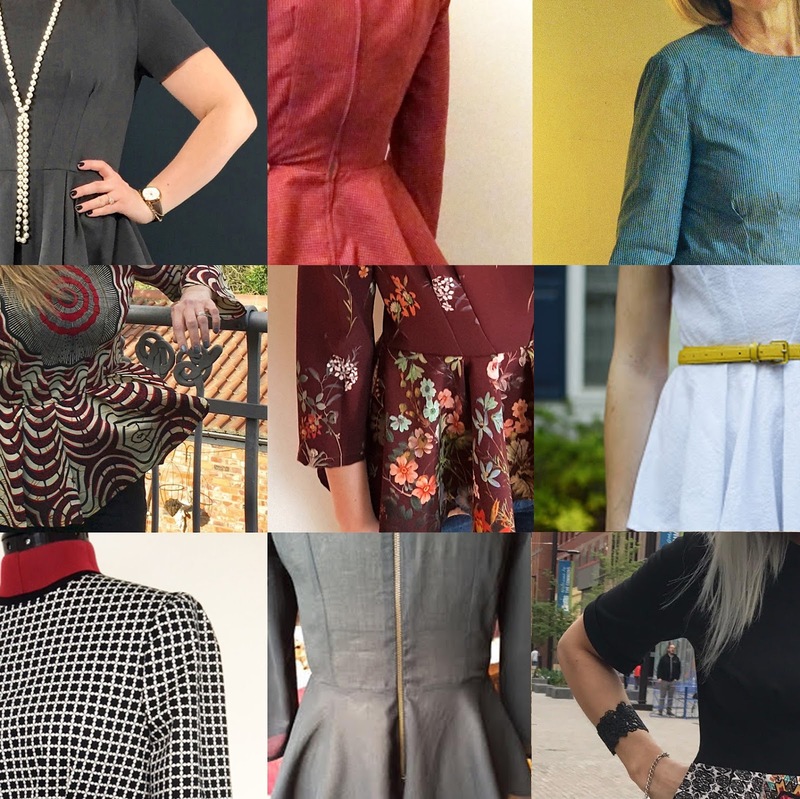 A few simple hacks can change the look completely : why not add a front zip to turn it into a jacket, or lengthen the peplum to hack it into a dress? Athena is made here with a lightweight boucle, but options for fabric are limitless depending on the effect you are going for. Pick a light to mid-weight drapey fabric, like crepe or gabardine for a floaty elegant version. Or perhaps something a bit weightier with more body like sateen, dupioni or a double knit like ponti roma or a very modern scuba. One 56cm/ 22” invisible zipper.